Currently, Construction has begun to build an addition to the Theatre. This addition will house handicapped accessible bathrooms and provide our guests with much needed facilities! 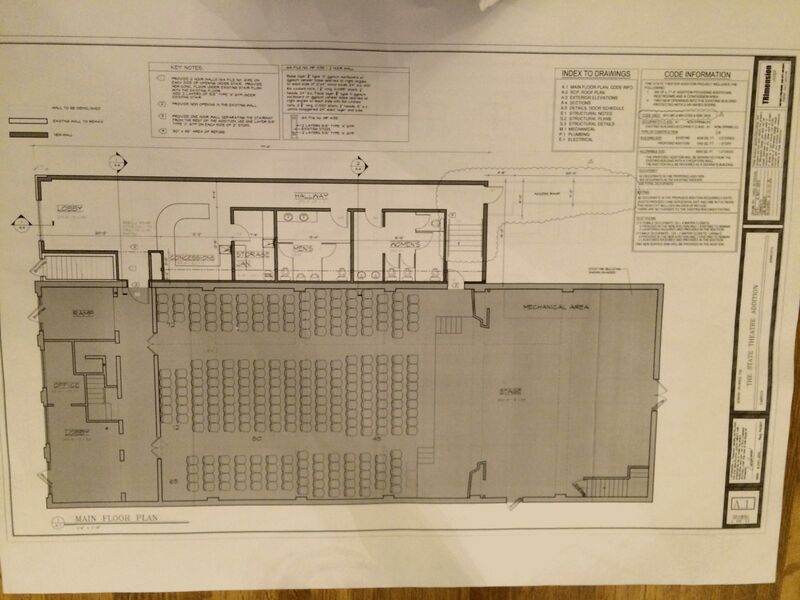 We will also add a new concession area which will allow for expansion of the lobby. Funds are needed to complete this project! The Encore Campaign helped with the purchase of the Theatre and allowed the Theatre to begin operating. The initial campaign documents are below. Garrison Keillor was instrumental in kicking off a successful campaign by donating his time and talents to this project. Many other performers also volunteered to be part of this event!